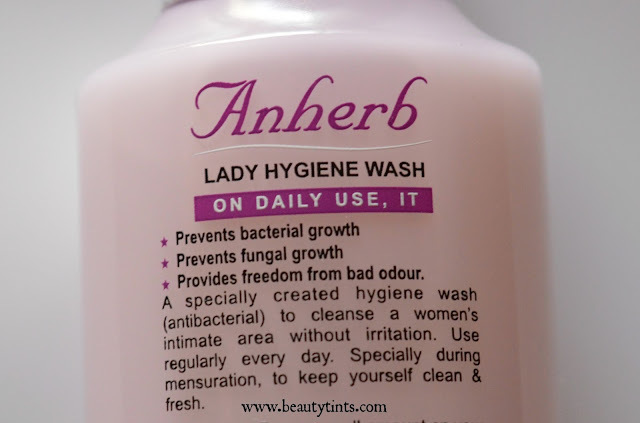 Sriz Beauty Blog: Anherb Lady Hygiene Wash Review!!! 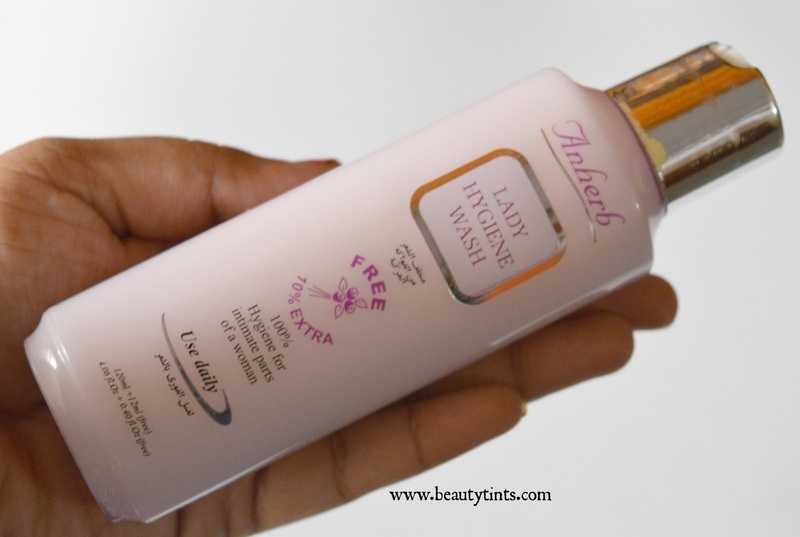 Today I am reviewing one more product from Anherb which is their Lady Hygiene Wash which is enriched with the goodness of milk and olive oil. What the Brand Says : The world might have given you numerous things like ornaments, apparels and many more to enhance your beauty and flaunt it.. But what nature gave you, your original skin, your original asset is something you should be proud of and show off. 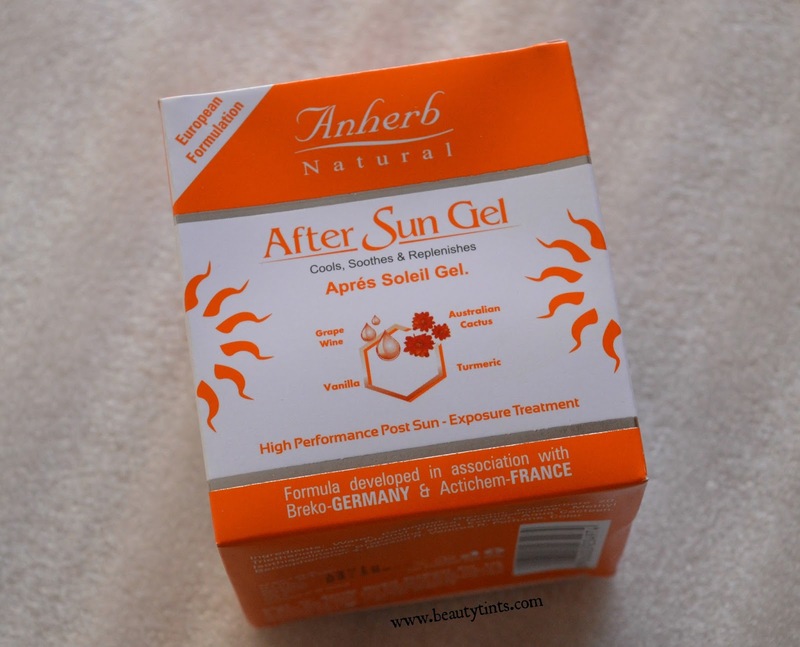 We, at Anherb, make sure that your natural beauty forever stays with you. And that's why we bring the best of nature, the best and rarest of the natural herbs from all over India, that beautifies the original you.Go ahead and flaunt the 'BEAUTIFUL YOU'. Anzalp Herbal Products Pvt. Ltd., racing ahead since the time of its inception, was born out of a well-established and diversified group of companies that made remarkable name in the field of pharmaceutical trade in India and abroad. Our global forays include product export to UAE, Russia, UK and the USA. We are making powerful strides in the world cosmetic scene by launching our products in India with many unique selling points and aspire to hold a sizable share of the market sooner than later!!! You can check more about them here and here. 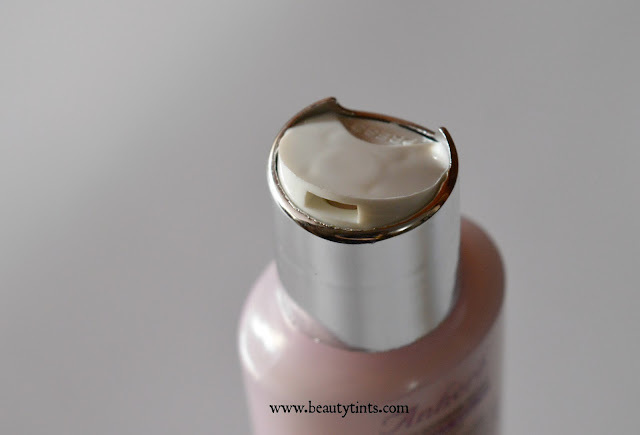 Packaging : It comes in an attractive light pink colored bottle packaging with a flip cap. Color and Texture : This is a pale pink colored liquid. What the product Claims :100% Hygiene for intimate parts of a woman. Provide freedom from bad odor. 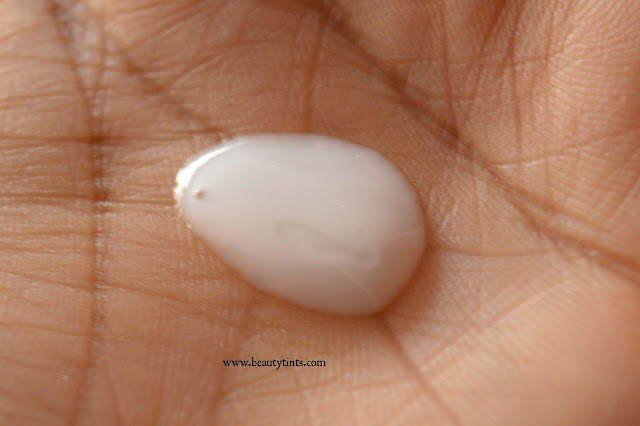 An effective anti bacterial cleanser. Prevent bacterial growth, prevent fungal Infection. Maintains acidic pH necessary for healthy intimate area. 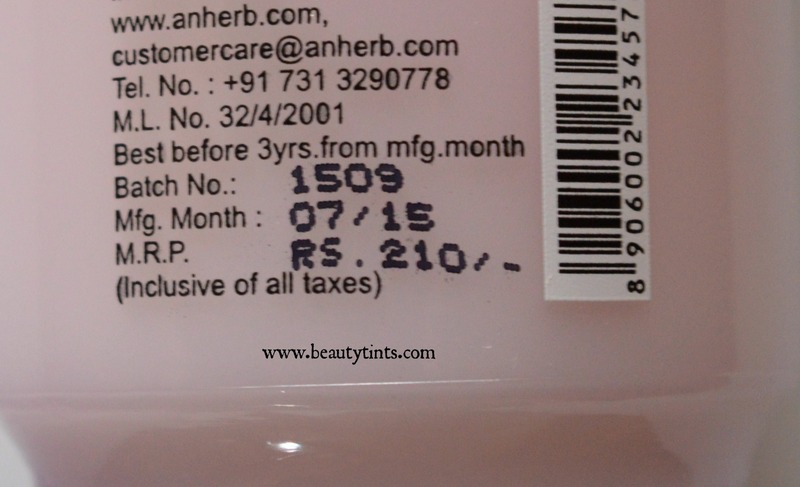 Ingredients : DM Water,Ammonium Lauryl Ether Sulfate, Glycerine,Sodium Lactate,Olive Oil PEG - 7 Ester,Ethylene Glycol Mono Stearate,Methyl Chloro Isothiazolinone,Methyl Isothiazolinone,PEG - 150 Distearate,Perfume. Directions for Use : Pour a small amount on your palm, wash external feminine area rinse thoroughly. 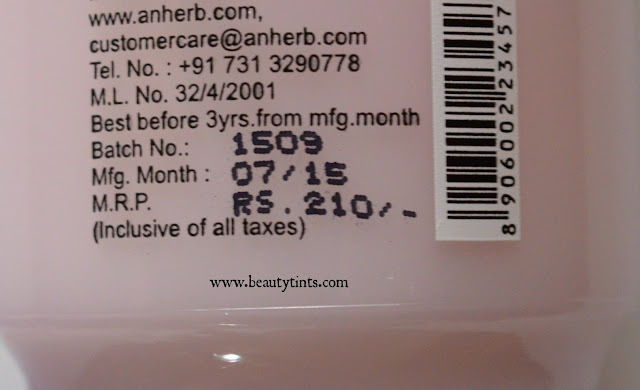 My Views On the Product : This intimate hygiene wash comes in a pretty pale pink colored bottle with a silver colored flip cap,which is very convenient to use and carry.It has a bit thick gel kind of consistency,has a very mild floral fragrance and it lathers well.It cleanses the intimate area well and keeps the area dry & odor free for longer hours,especially in those special days of the month,when the extra care is needed.It maintains the right pH of the v*gina there by preventing it from bad odor and bacteria.This is very gentle and hydrating.It is enriched with the goodness of Olive oil and milk and also contains anti-microbial properties.It is free from harsh chemicals and harmful ingredients.It keeps irritations at bay.It is priced reasonably and is available easily. Final Conclusion about Anherb Lady Hygiene Wash : A good gentle hygienic wash to keep the intimate area clean and fresh!! !